The biggest change pictured here are two large air intakes in the bumper, probably to provide additional cooling for the more powerful engine. At this moment, the most powerful Range Rover Sport is equipped with 5.0-liter supercharged V8 for 510 hp. 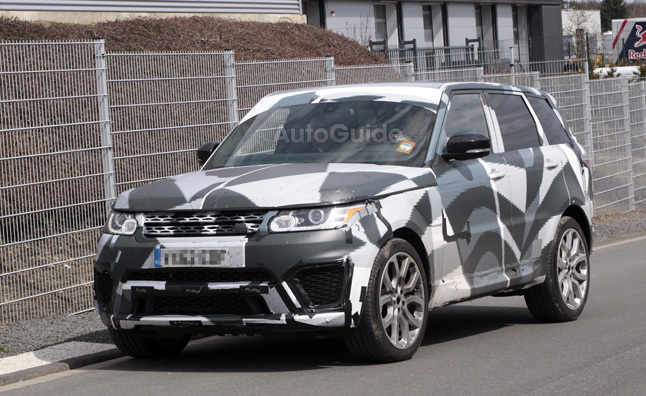 The similar engine is placed in the Jaguar XFR-S, where it generates 550 hp and 502 lb-ft of torque, so expecting a more intense variant is reasonable. If this in RS model, bulky brakes, particular wheels and a stiffer, lower suspension are expected, however none are detected in the pictures.